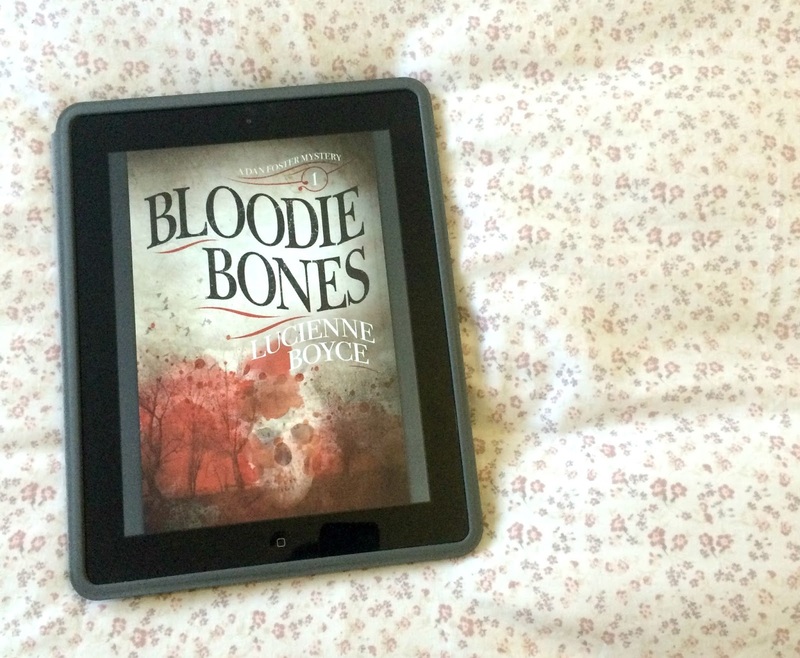 A couple of years ago I took part in a blog tour for Lucienne Boyce's first novel To the Fair Land (you can read my glowing review here) so when she contacted me to let me know her second novel, Bloodie Bones, was shortly to be released I could barely contain my excitement. Bloodie Bones is a wonderfully thrilling historical mystery featuring Dan Forster, a Bow Street Runner and amateur pugilist. Dan is sent to a quiet (or not, as we quickly discover) village in Somerset where someone under the guise of 'Bloodie Bones' is wreaking havoc on the local Lord. Lord Oldfield triggers the series of destructive acts by enclosing Barcombe Wood, the food and fuel source and even home of many local people. The action reaches a climax when Oldfield's gamekeeper, Josh Castle, is murdered and a note from 'Bloodie Bones' left with the body. All of this has happened before the novel opens. We join the action in the wake of Castle's murder and travel with Dan down to Somerset as he begins his investigations. Even though we're thrown straight into the action, it did take me a few pages to settle in to the story. Once I'd got the hang of Dan and his method of investigating - he's essentially an undercover detective - I was hooked. A red herring or two later and we get to the final denouement which was both surprising and believable (don't you just hate a denouement that is miles away from what happened in the rest of the novel?). As with To the Fair Land, Boyce deals with the big reveal with skill. I particularly liked how as a reader we can figure out the perpetrator at the same time as Dan, rather than elements being hidden from us. Dan is a brilliant character. You get a real sense of him and I love how Boyce has built up a really detailed life story for him. From his unfortunate upbringing, to his deviant youth doing anything to get by, to his marriage to a beautiful (yet alcoholic) wife and the feelings he not-so-secretly harbours for his sister-in-law. He's not perfect and I really like that - no one wants a do-gooder protagonist. In fact his whole character has a Dickensian feel which complements the story really well. Ultimately this is a really enjoyable read. I found it well paced and there were enough cliff-hangers to keep me wanting to read on (I had a couple of late nights reading this). As a fan of mystery/detective novels from the golden age (Christie, Sayers etc. ), it was a refreshing change to read about a 'common' protagonist, by which I mean someone entirely normal who has built himself up from humble beginnings. I could talk about this novel much more - the writing, the setting, the characters, the second mystery running underneath the main storyline - but I won't, instead I will just enthusiastically encourage you to read it. If you're a fan of historical novels, mystery novels and historical mystery novels then this is one for you. I personally am looking forward to seeing where Dan goes next and joining him for the ride. Do you like a historical mystery? * I received a free copy of this novel for review purposes. All opinions are my own and receiving a copy in no way influences my review. Historical novels, mystery novels and historical mystery novels? I love all of those things!! Especially during the Autumn. You've reminded me that I need to dig out some Sayers too - the fact that I've never read any feels like a terrible oversight!